Need something laminated? Studio 300 can help you. We just added the Scotch TL901C to our inventory. This device can laminate up to an 8.5″ x 11″ sheet in less than two minutes. The cost is $1.00 per sheet. If you need to laminate something smaller, we can help you trim it to size with our cutter. Stop by Studio 300 when you need lamination services. 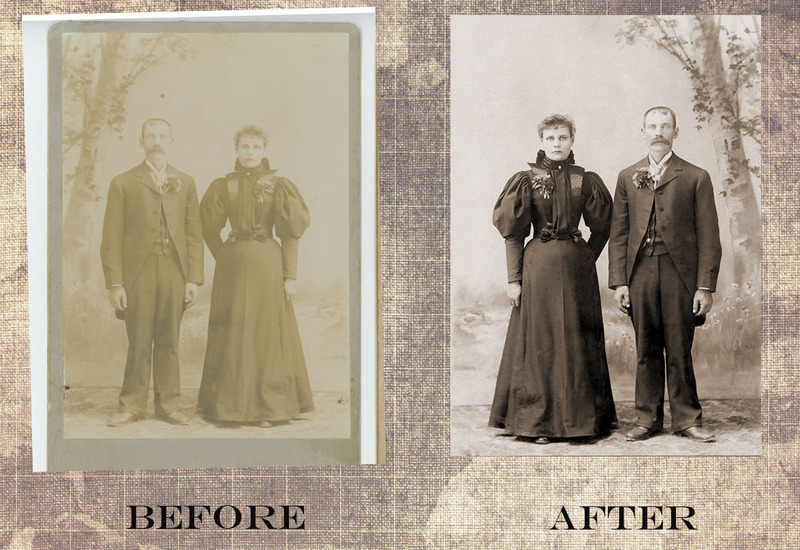 In Studio 300 there are two items that are great for preserving the past and restoring what you may have thought to be lost: digital scanners that handle both negatives and slides. Now that old box of slides that has been collecting dust in the attic can be brought to Studio 300 and scanned into the computer to create a digital copy of your memories. Both scanners will scan 35mm mounted slides and 35mm film negatives. The Epson v600 scanner can do up to four mounted slides in one scan and even includes some correction capabilities, such as color correction and dust removal. The OpticFilm 8200i scanner does one slide at a time but gives you far more control with their Silverfast software, and that allows you to go in depth with the various tools that it offers. Of course once you have your digital copy of your slide or negative you can then take it one step further and use iPhoto or Photoshop to finalize and clean up your scanned image. 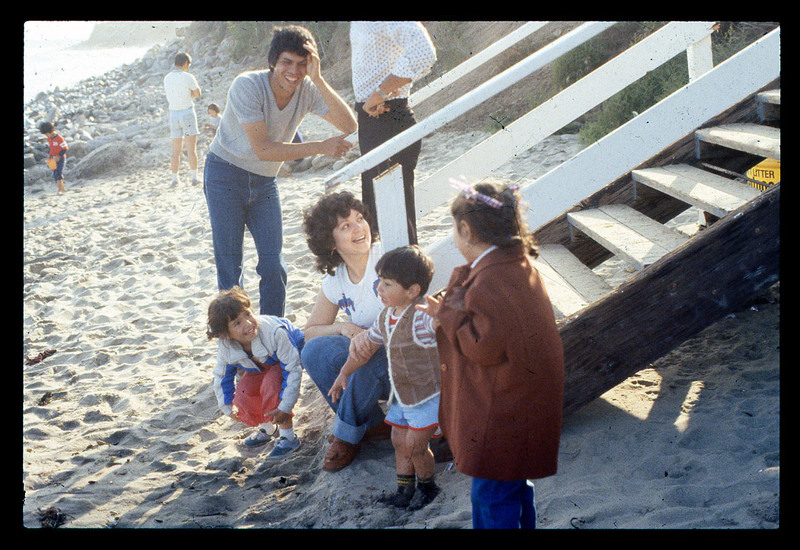 As you can see in the images below preserving your past memories has never been so easy. This is the final product of my scan, with some Photoshop magic this picture will now be ready to go up on my wall. There are some new and improved tools in Photoshop that make photo editing a breeze. One of the most useful is the spot healing brush–this is a content aware tool that can take out small scratches and spots quickly based on what colors and contrast are close to it. Other useful tools are adjustment layers, which make it easy to change colors, turn a photo black and white, and make the original colors brighter. At Studio 300, we have the equipment and staff who can help you get started on preserving your memories. Are you looking for historical videos to use for a media project? Make sure you visit the Prelinger Archives (and the many other collections) at Archive.org. The Prelinger Archives in particular have an eclectic collection of home movies, advertising, and quirky educational films, including the Coronet Instructional Films that were shown in many American schools. These videos are free of all usage restrictions and that means you can include clips from these films in your own digital media projects. (Looking for copyright-free photos? Read this article). The opening sequence to the Studio 300 Sneak Peek video uses parts of the 1947 career film “The Librarian” from the Prelinger Archives (in case you wondered from where it originated). The next time you need to find historical video for your personal projects, start at Archive.org. A previous post, Start Small, talked about telling a story using only a single image and a recorded audio narration. Here’s another related idea. Have a child draw a picture and then record the artist telling the story of their art. The process for assembling the narrated art story would be similar to what’s described in the earlier post. Listen to this example where the artist/author talks about her original artwork. Studio 300 has the tools for scanning the art, recording the narration, and sharing the finished story. Have you ever rummaged through a drawer or box and come across a photograph, ticket stub, or some other memento from your past? Doesn’t this trigger a flood of memories for you? Consider sharing this memory in the form of a digital story. Digital storytelling means using various computer-based tools to present and enhance the stories of our lives. But where do you start? Try this: Choose a single image and see where it takes you. With the image and story in hand, begin to craft your digital version. The process goes like this: import the picture into the computer, read the story aloud and record it, combine the image and audio, and share the finished digital story with others. Sidekick is a lovely example by Kayann Short that combines a single photograph with her heartwarming recollection of her relationship with her sister. Studio 300 has the digital storytelling tools. But you need to supply the story. Showing a slideshow of old photographs is a mainstay at weddings and memorials. It’s a heartwarming way to bring a couple’s separate lives together and to remember and celebrate a person’s life. A flatbed scanner connected to a computer is the simplest way to digitize your photos. It’s similar to using a copy machine. You place the photo face down on the glass and press a button. The scanner then converts your photo to a digital format. Some scanners even have adapters for digitizing negatives and slides, too. Once in the computer, you can use photo editing software such as iPhoto or the flagship Adobe Photoshop to enhance and restore the images that you scan. There are two options for building the slideshow. Use presentation software such as Microsoft’s PowerPoint or Apple’s Keynote to assemble and present your pictures. You would need a computer to play this slideshow for other people. Alternately, use a video editing program, such as Apple’s iMovie or Adobe’s Premiere Pro to create a more compelling sequence. With either of these programs, you can add transitions and animation – zooms and pans – to bring your pictures to life. This is often called the ‘Ken Burns Effect’ named for the prolific PBS documentarian (The Civil War, Baseball, and The National Parks) who popularized the technique (though he didn’t invent it). Video editing programs also support including titles, narration, music, and more. The finished video can then be turned into a DVD and/or uploaded to the Web. Studio 300 has dedicated equipment to help you scan your photos and craft them into a presentation that will wow your audience. We’ll even show you how to do it, too. Blu-ray and DVD technology replaced the venerable VHS cassette. Unfortunately, many people used that video format to record their memories: birthdays, weddings, vacations, and more. Do you have a stack of VHS tapes that you’d love to watch again and share with other people? Connect a VHS tape player to a computer. There are special hardware converters available that make this possible. Once in the computer (called digitizing) you can edit the video, improve the look, record narration, add titles, and more. When you are satisfied with your project, you can use the computer to create a DVD and/or upload the video to the Web. The Library of Congress has additional tips and resources for ‘Preserving Your Digital Memories.’ Visit their site here. Studio 300 has dedicated equipment to help you convert your VHS (and other video formats) to DVD and the Web. We’ll even show you how to do it, too.